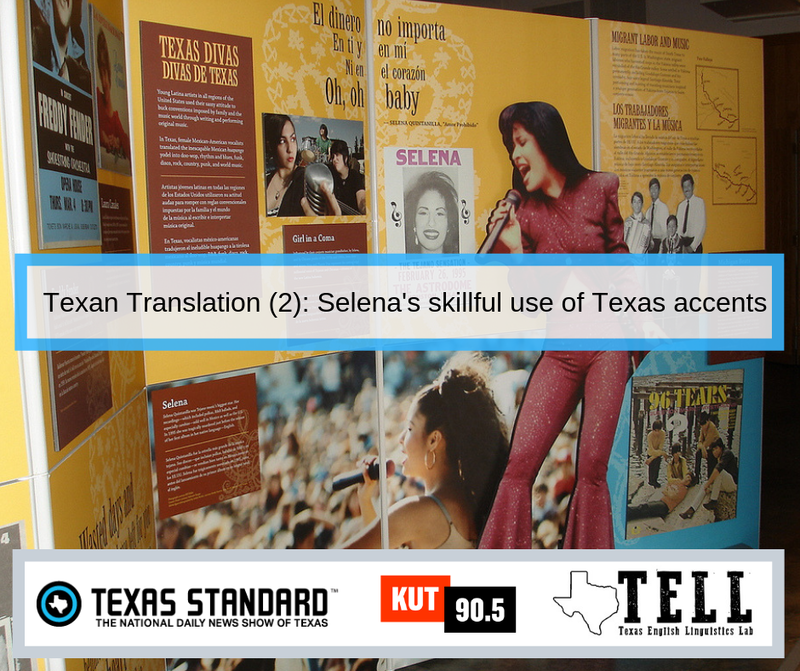 The local NPR station here in Austin, KUT, today aired the first installment of a new segment called "Texan Translation". In it, host David Brown and I discuss the accent of Governor Greg Abbott, because he sounds so Texan. You can listen to the segment here. Our first attempt was well received on Twitter. 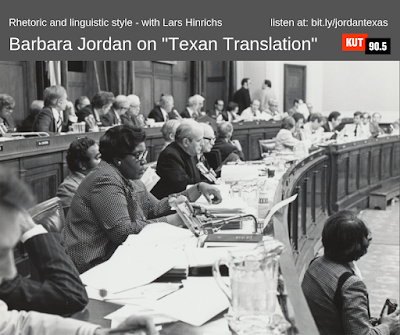 From the podcast Talk Like a Texan, which is hosted by Texas Monthly: John Nova Lomax invited Dr. Hinrichs to sit down for a chat about "the best way in the English language to address more than one person": the pronoun y'all. 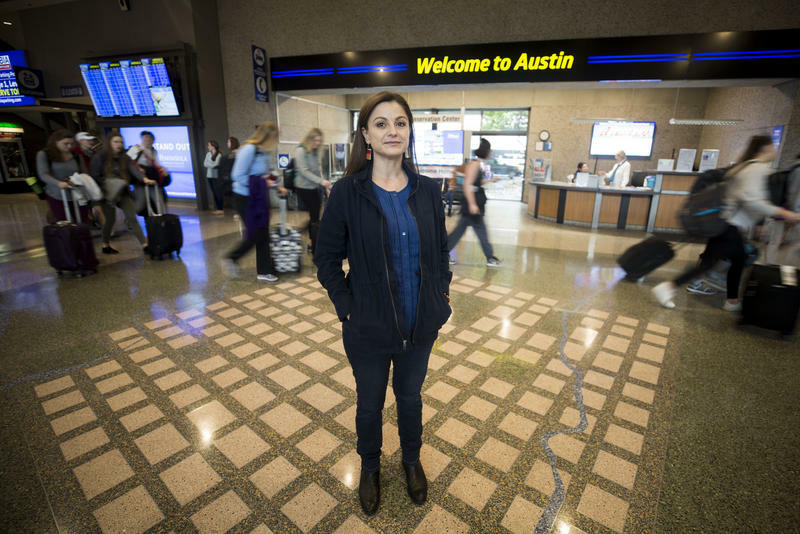 This time, the perennial riddle of how Spanish- and German-origin street names in Austin are pronounced is joined by the question of spelling. 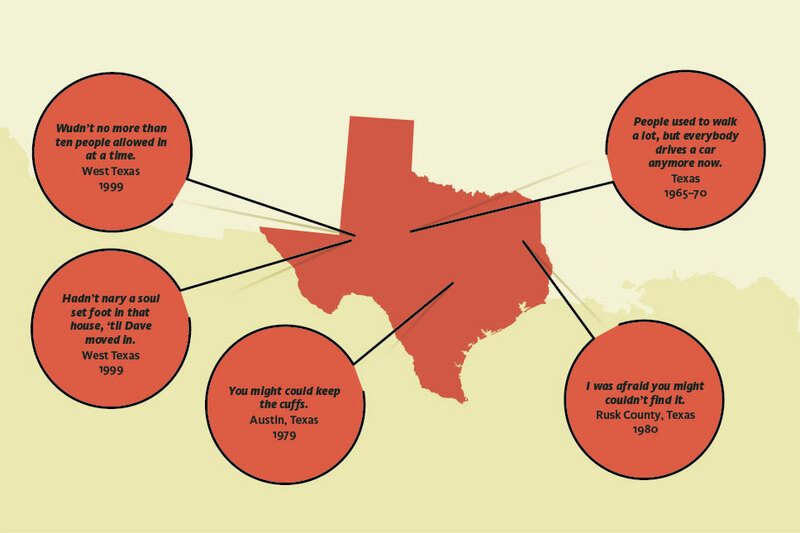 It was the subject of an episode of KUT's series #ATXplained. You can here the whole story here. 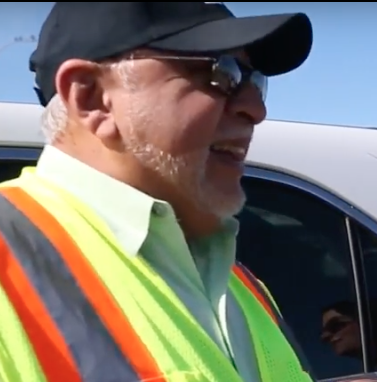 "Wait to cross 51st street at Cameron", a Texan-sounding voice admonishes pedestrians and bikers who touch the button on the streetlight post. Two years ago, we used a recording of the automated voice in a research presentation, which we gave at a conference in Toronto. 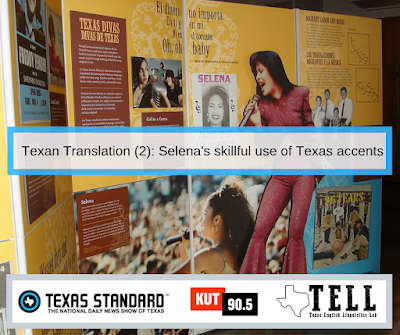 Our presentation discussed the conditions under which Texans pronounce the STR consonant sequence, which occurs at the beginning of the word street, as "shtr". This crosswalk signal's automated voice is a great example of a Texan voice saying "shtreet" for street. Here is our blog post on that phonetic process. At the time we were wondering if it would be possible to find out who the real human behind the crosswalk voice was. Today, Austin's NPR station KUT gave the answer: it is Lupe Alvarado, employee of the Austin Transportation Department for the last 13 years. Andrew Weber made the story that was broadcast today.